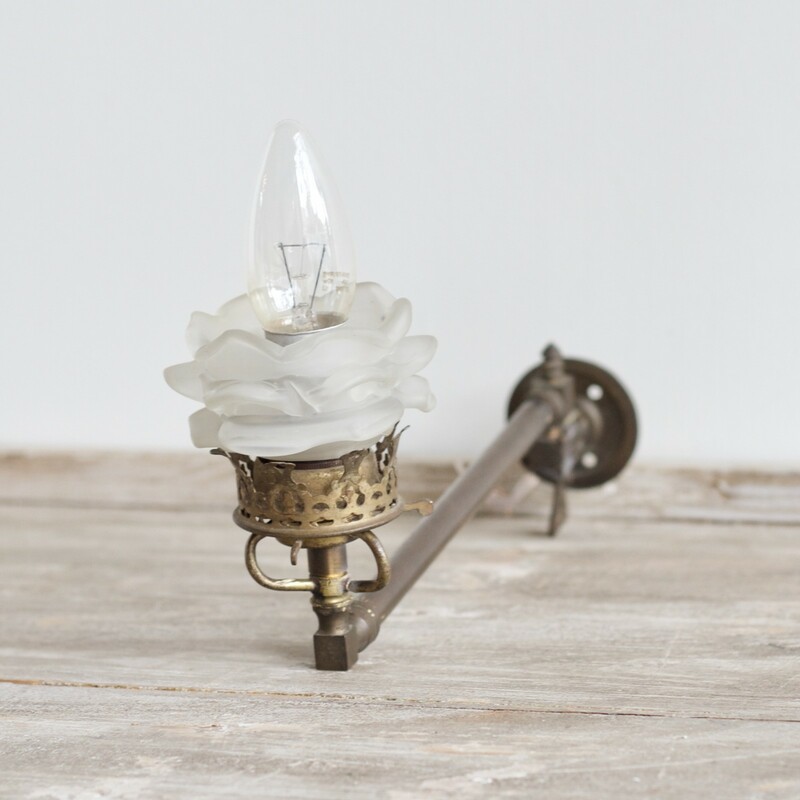 An electrified brass Victorian gas lamp with petite french frosted petal shade. A unique piece of lighting. Rewired to British Standards.